Thank you to David Merkel and Claire Sechler Merkel for introducing us to Amb. Kazykhanov. Join us for dinner as we discuss Kazakhstan with Mr. Erzhan Kazykhanov, Ambassador of Kazakhstan to the United States. 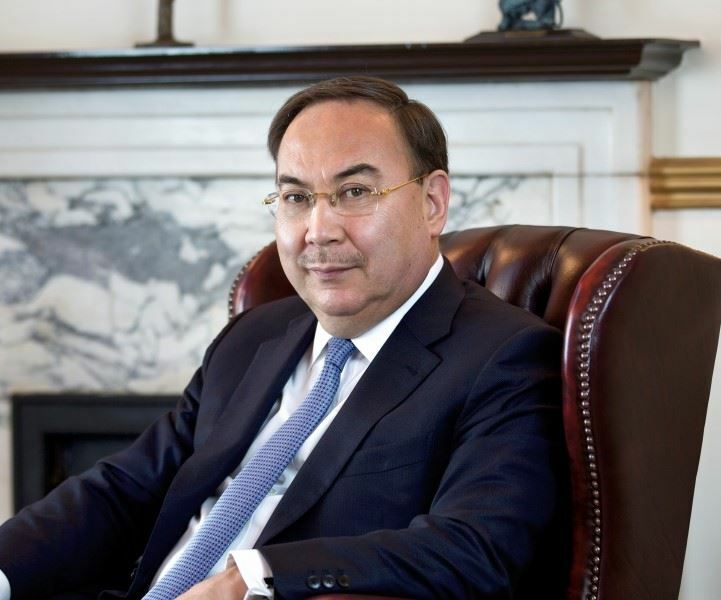 Prior to his appointment as the Ambassador to the U.S., His Excellency Mr Erzhan Kazykhanov has served as Kazakhstan’s Ambassador to the United Kingdom of Great Britain and Northern Ireland. Before that, His Excellency held the position of Foreign Affairs Aide to the President of Kazakhstan and Minister of Foreign Affairs of Kazakhstan. Mr. Erzhan Kazykhanov has previously served as Deputy Foreign Minister, as well as Ambassador of Kazakhstan to Austria, Permanent Representative of Kazakhstan to the International Organisations in Vienna and Permanent Representative to the United Nations in New York. Born on 21 August 1964, in Almaty, Kazakhstan, he earned his bachelor's degree in Oriental studies from the Saint Petersburg State University, Russian Federation in 1987. Ambassador Kazykhanov holds a PhD degree in History from Al-Farabi Kazakh National University. Amb. Kazykhanov is an author of numerous articles on Kazakhstan’s foreign policy issues, multilateral diplomacy and the role of the United Nations. His Excellency fluently speaks Kazakh, Russian, English and Arabic, and is the recipient of several State Awards. The future of trade in Asia could depend heavily on what becomes of China’s expansive One Belt, One Road initiative, which calls for massive investment in and development of trade routes in the region. How can Kazakhstan capitalize on such initiatives? What policy innovations and private-sector initiatives are needed if Kazakhstan’s manufacturers are to compete globally and fully integrate global value chains?